Scientists have, for the first time, identified a method of visualising the quantum behavior of electrons on a surface. The findings present a promising step forward towards being able to manipulate and control the behavior of high energy, or ‘hot’, electrons. The Scanning Tunnelling Microscope used to inject electrons into a silicon surface at the University of Birmingham. 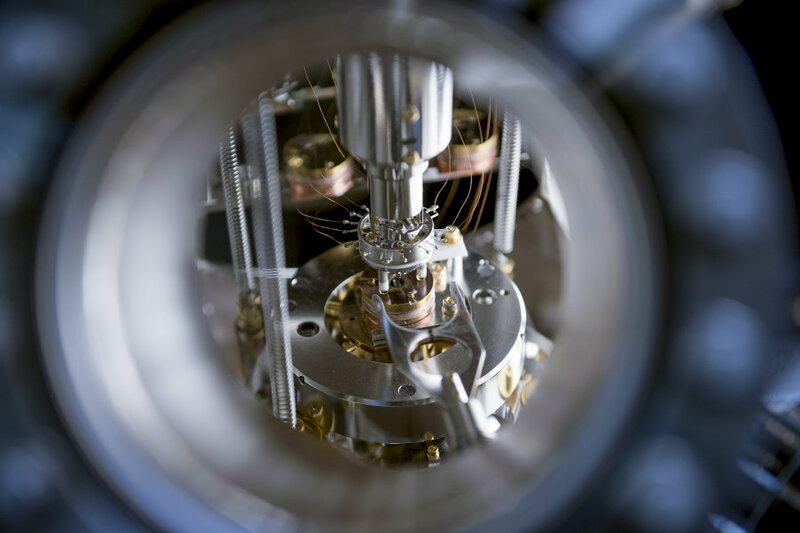 By measuring the precise atomic positions from which molecules departed on injection, the team were able to identify that electrons were governed by quantum mechanics close to the tip, and then by more classical behavior further away. The team found that the molecular lift-off was “suppressed” near the point of charge injection, because the classical behavior was inhibited. The number of reactions close to the tip increased rapidly until reaching a radius, up to 15 nanometres away, before seeing relatively slow decay of reactions beyond that point more in keeping with classical behavior. This radius, at which the behavior changes from quantum to classical, could be altered by varying the energy of the electrons injected. Professor Richard Palmer, from the University of Birmingham, explained: “When an electron is captured by a molecule of toluene, we see the molecule lift off from the surface — imagine the Apollo lander leaving the moon’s surface. By comparing before and after images of the surface we measure the pattern of these molecular launch sites and reveal the behavior of electrons in a manner not possible before. The implications of being able to manipulate the behavior of hot electrons are far-reaching; from improving the efficiency of solar energy, to improving the targeting of radiotherapy for cancer treatment. Web Source: University of Birmingham.